Why is our event so important: Statistics show that students celebrating on the evening of graduation can experience the most dangerous nights of their young lives. Our goal has been and always will be to provide a safe and sober alternative celebration to students and our community. Did you know that 1/3 of alcohol-related traffic fatalities involving teens each year occur during the months of April, May and June (prom and graduation season)? Please help reduce these statics by supporting a Safe and Sober Grad Night celebration. We accept and appreciate any amount to be donated. 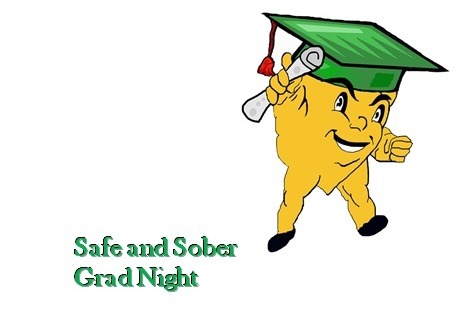 The Live Oak Safe and Sober Grad Night is a non-profit organization that started in 1987 in Morgan Hill California. We are among the few organizations still in existence that continue to provide a SAFE and SOBER Grad Night celebration. Sadly, we are in jeopardy of losing this unique tradition and celebration for our community. We are proud to demonstrate to our youth that celebrations can be amazingly fun AND SAFE AND SOBER. However we need your help and support to continue this tradition. It is events like these that make our Morgan Hill community unique and wonderful! Again we are among the few that continue to host the event in the gym at school on graduation night. We provide a themed event with food, beverages; and many activities ranging from arcades, zipline, dancing to out door theaters. We keep our celebrating seniors entertained, secured and safe at this event from 10 pm to 4am! These safe and sober events are endorsed by MADD (Mothers Against Drunk Driving) and the local Police and Fire Departments. Our goal is to continue to provide a safe and sober celebration. However, this event is only made possible through the support of our community members and outside donations. All members of our organization are volunteers who work endlessely to provide this event every year. All funds go directly to the Grad Night Event on June 7, 2019. This year has been particularly difficult due to the decrease in donations from our community members. We are reaching out to all our local communities to help fund our 2019 Graduation Celebration Event. Please help us to keep our community and graduating seniors safe. We appreciate any and all support. Thank you so very much for helping!! You can contact us directly at logradnight@yahoo.com. We are so grateful to those community members who have made donations thus far!!! We still have a ways to go! As a thank to businesses, families, friends and individuals who make a donation, we would like to include your names and businesses on our website and in the graduation programs. Again thank you very much for your support! Hello! Please help to keep the Live Oak Safe and Sober Grad Night celebration tradition in our Morgan Hill, CA community. You can make donations from $1 on up! We need your support now for the 2018 Safe and Sober Grad Night. We truly appreciate your support and be assured ALL donations go directly to the event! Thank you !!! Have a wonderful grad night Marisa! We are happy to support a Safe & Sober Grad night, not only as a local community business but also as a family to two graduating seniors this year - Allison Tapia & Nicholas McCracken.